They do not allow any flow to get through unfiltered. They are made to be wet. They have a nice plastic supporting structure inside to handle the pressure across the media.They coalesce mist into droplets nicely. They are not subject to variations based on how tightly they are packed. They can be back blown easily. They hang so they do not trap moisture. They can handle significant pressure across the media. THIS FILTER WILL NOT ELIMINATE TAR. It is meant for fine particles. Low temperatures and fast turns are the best way I have found to remove tar (condense and splat!). 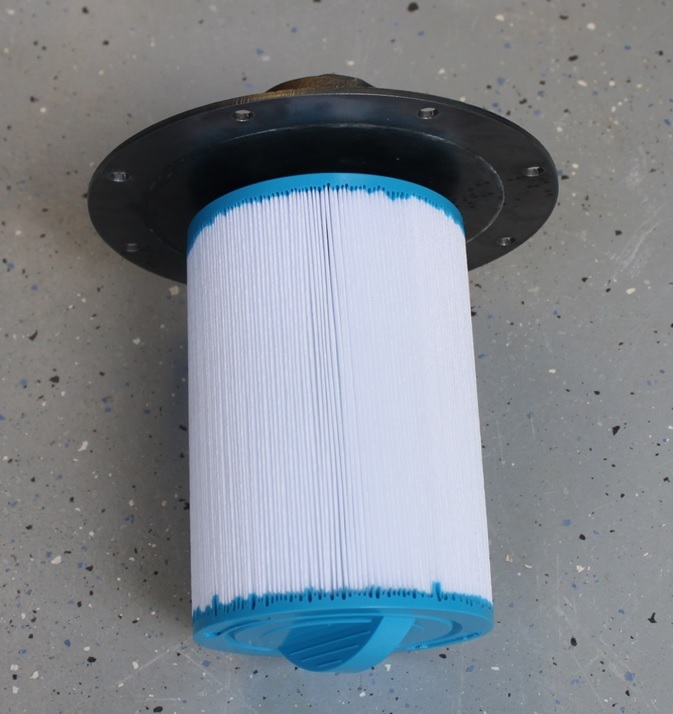 A Type R shop vacuum filter sleeve fits nicely over this pleated filter and can be used as two stage filtration. That is the way I am currently running mine. The housing has a 1.5 inch female NPT inlet and outlet. 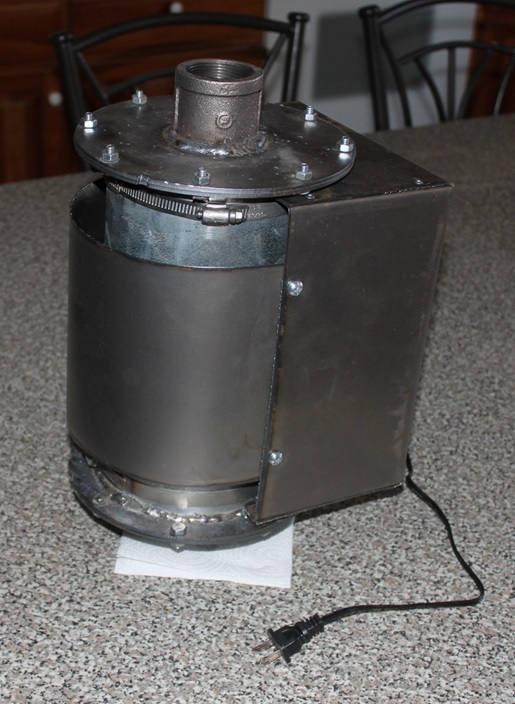 I have tested it to 17cfm and it has performed very well, only allowing a small amount of soot through. This makes it suitable for engines under roughly 25hp. These units are available for $225 plus shipping. 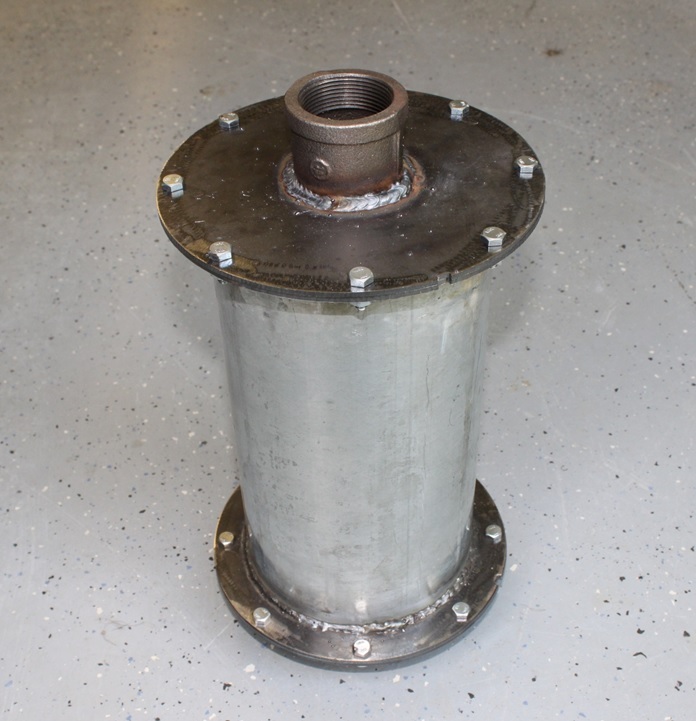 The final filter can also be ordered with an integrated gas cooler. This cooler uses a 25W fan to lower the gas temperature. 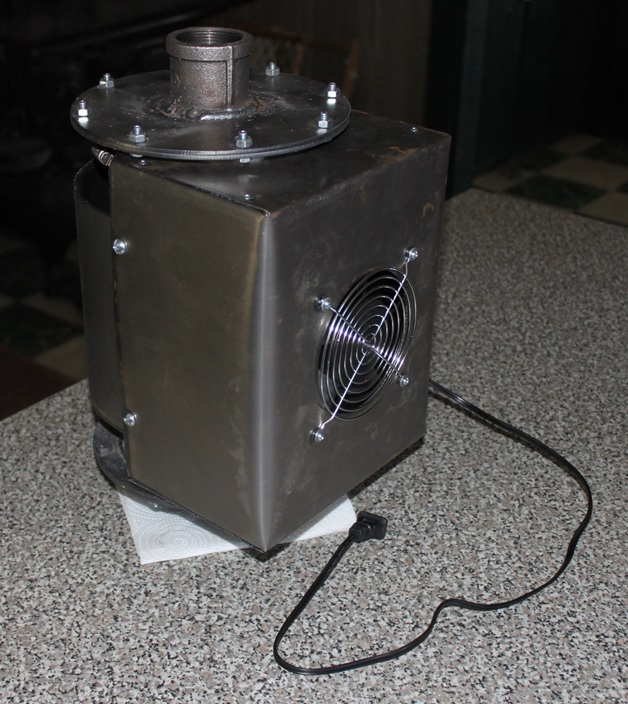 When tested on the Mini Gas Station it lowered the temperature of a 12cfm flow from 350F to 130F. Please note, it is important that the heat exchanger be kept clean for best results. This unit will perform badly if it has a coating of tar inside the housing acting as insulation. This option is available for an extra $150 or a total of $375 with the filter.